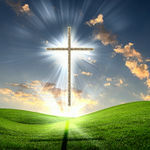 Next week is Passion week – the time when we focus on the work of the cross of our Lord Jesus Christ. The Bible teaches that everyone must go the way of the cross for salvation and daily surrender. Here is the most important truth about the cross every Christian has been called to bear: It is not a cross of your own making; God has assigned it to you! The Christian cross is not a choice; it has been prepared by our Lord, and we are to take it up as a badge of honor – not a burden of horror. Each day we are commanded by Christ to submit our shoulder to that beautiful beam, which is designed to crucify the self and exalt our Savior. Jesus led the way in cross-bearing for every Christian to follow. “Christ suffered for you,” the Scriptures explain, “leaving you an example, that you should follow in his steps” (1 Peter 2:21). What better way to identify with the Captain of our salvation than to carry our own cross on the way to glory?